Food for Thought; Helpful Hints for Writing about Thanksgiving! The new year is fast approaching, and you may already be itching to get that tree up. But, there’s still one day of celebration we can’t forget about; Thanksgiving! Just like Bonfire Night, Thanksgiving is a celebration unique to a few countries. Nevertheless, the underlying sentiment remains the same; coming together and getting cosy. It’s the perfect occasion to take some time and enjoy the companionship of your loved ones before the hectic rush of festivities begin. Although Thanksgiving is predominately American, the spirit of sharing, giving thanks and enjoying delicious dinners is certainly one we can all dive into. We’ll also be including some creative writing challenges in this blog, so keep your eyes peeled! You may remember that in Module 2, we looked at the genre of Historical Fiction. Stories that are based in either real or fictional history are often intertwined with very particular social conventions of the time that’s being written about; they can both entertain and educate modern readers about the past. 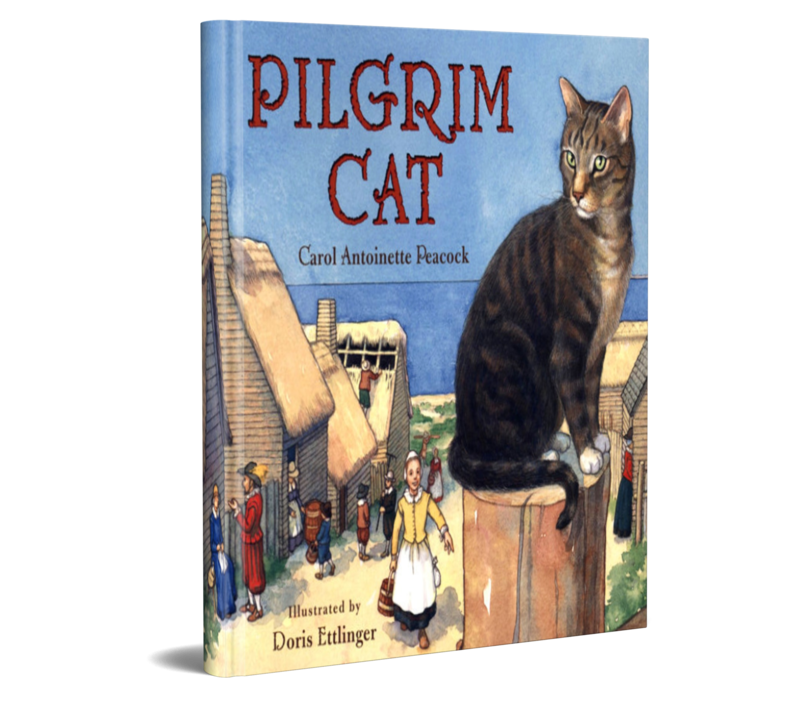 One book that excellently encompasses historical events and fictional entertainment is Carol Antoinette Peacock and Doris Ettinger’s Pilgrim Cat. Pounce the cat stows away on the Mayflower bound across the ocean, but he was swiftly discovered and befriended by young Faith Barrett. Although the story recounts the real journey and the hardships of the settlers, the story is told through Pounce’s eyes. 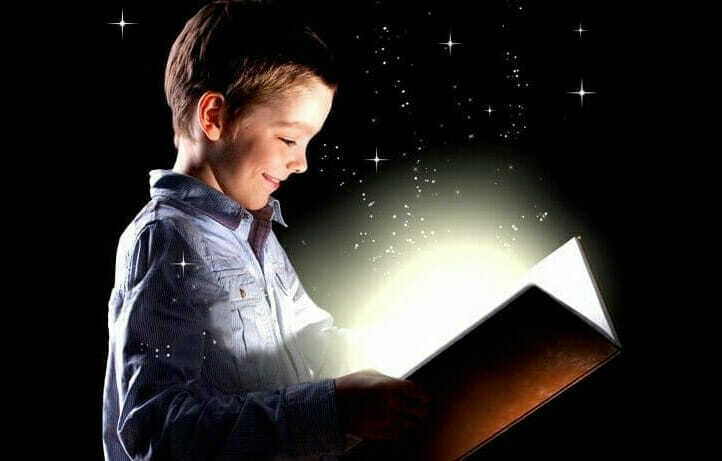 The recounting of history is balanced with Pounce’s quest for dinner, so a story young children would have heard a thousand times is given a brand new spin. The genre of Historical Fiction applies to contemporary novels written about the past but also to stories that were written ‘in the moment’ hundreds of years ago. Of course, we’ve got to include a mention to the queen of American children’s fiction, Louisa May Alcott. Although many may know her for her most famous novel, Little Women, her collection of short stories features the most quintessential Thanksgiving tale ever. Although food is the centrepiece of this passage, we can see how Alcott details every aspect of the room; the smells in the air, the personification of the fire dancing in the grate, and every inch of the kitchen from the embers down below to the beams in the roof are invoked through her words. 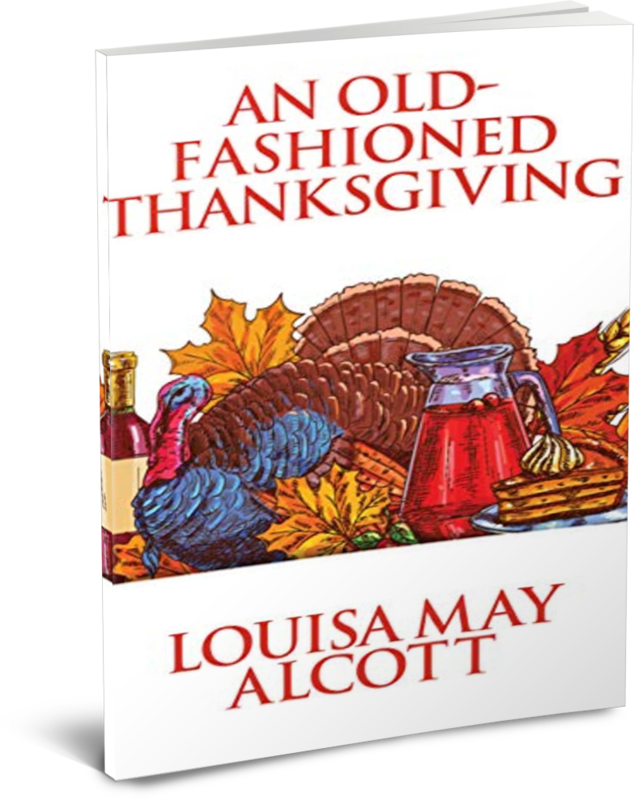 Alcott’s story is an oldie but a goodie and perfectly captures the thrifty perseverance of the American spirit featuring Thanksgiving preparation, blizzards and even bears! What are you having for your dinner; are there any special dishes your family prepares? Lefse, latkes, sauerkraut, lobster, macaroni cheese? If the foods on your table had personalities, what would they be? Who is coming to your Thanksgiving dinner? Try to imagine a made-up visitor travelling from the furthest place you can think of. How will they get to your home? What would their dinner conversation feature? How do you imagine Thanksgiving will be in 100 years’ time? Try to imagine what new traditions will emerge in a century, what foods would be eaten, what the sentiment of the holiday would be? What would be the same or what would be different? Carrots, Brussel sprouts, mashed potatoes, cranberry sauce and of course the centrepiece of the whole meal; the Thanksgiving Turkey. Run Turkey, Run! 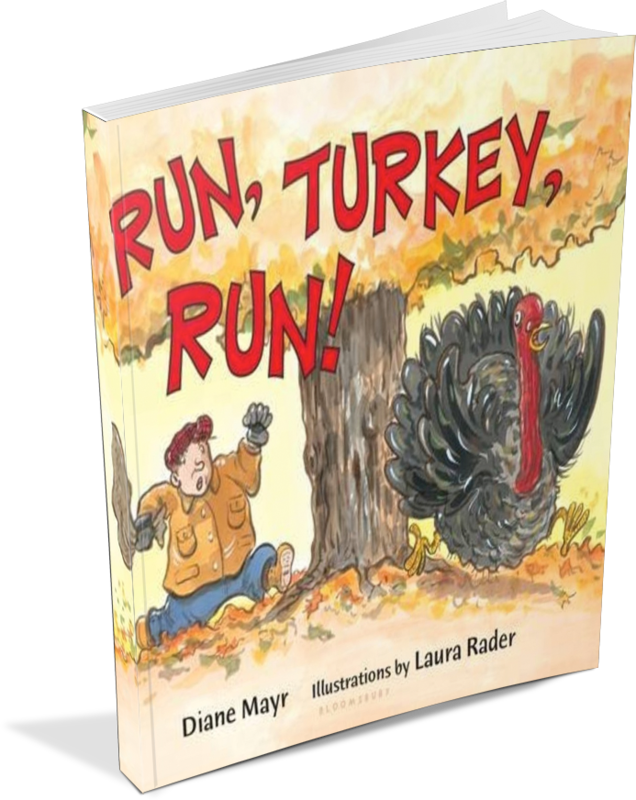 by Diane Mayr is all about a turkey’s attempt to escape from a farmer as he splashes over streams and bounds over bushes. It may come as no surprise that no-one was eaten! Younger readers will enjoy the familiar repetitive escapades of Mr. Turkey as he takes flight from the farmer. 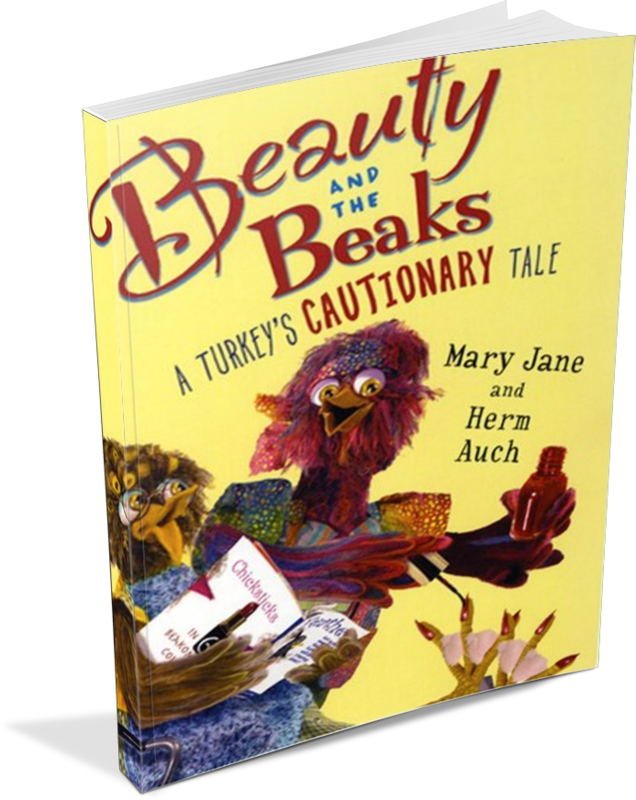 A similar tale is the wonderfully named Beauty and the Beaks by Mary Jane Auch. A very bossy and boastful turkey won’t stop bragging about the important invitation he’s got to Thanksgiving dinner, much to the annoyance of the other farmyard residents. When it becomes apparent just what that invitation is, it’s up to his new friends to help him hide. One interesting aspect of writing about food is that some parents don’t feel entirely comfortable reading to their children about ‘food with faces’. Whatever your thoughts are on eating or preparing turkey for dinner, Thanksgiving books give us a unique opportunity to introduce these ideas to younger readers in a way that’s light and easy to follow. Although Turkey might be seen as typically American, an important aspect of any holiday celebrating togetherness is inclusivity; no child should be made to feel like they aren’t represented. 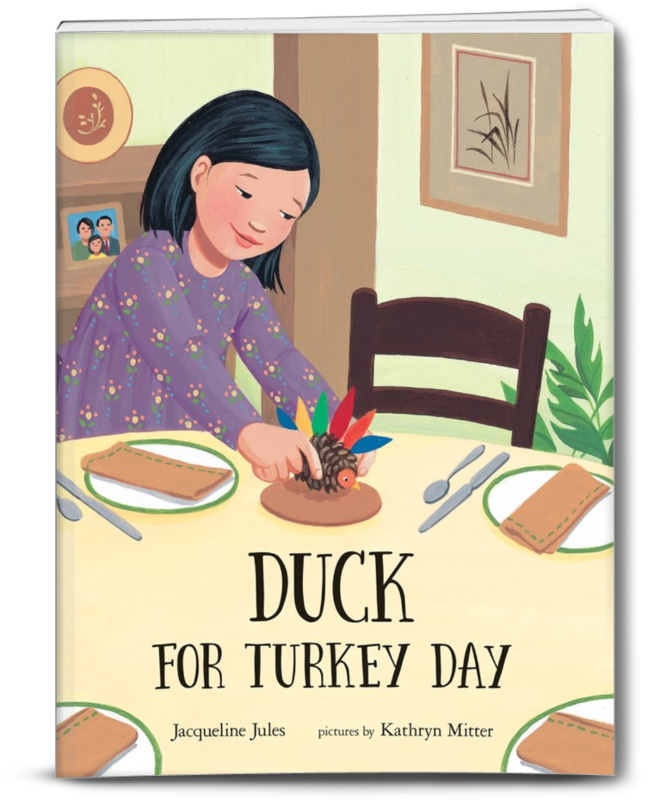 Duck for Turkey Day by Jacqueline Jules looks at this issue beautifully, as our young Vietnamese American protagonist Tuyet worries tremendously that her family aren’t doing Thanksgiving right. Her teacher wished her ‘Happy Turkey Day’ but she’ll be having duck instead. This wonderfully warm book is an interesting and engaging way of introducing important themes of diversity in cultural celebration. Giving thanks and enjoying the company of your friends and family is far more important than how you decide to celebrate. Have a think about your own Thanksgiving traditions growing up; was there anything unique to your family that you knew no-one else did? Creating a story that encompasses the traditional and brand new would not only help to carry on the special moments your family shares but also help to let children know that there is no ‘right way’ to celebrate. With all the talk of turkeys, togetherness and tradition, it’s also easy to forget that for many, Thanksgiving isn’t an entirely happy celebration. 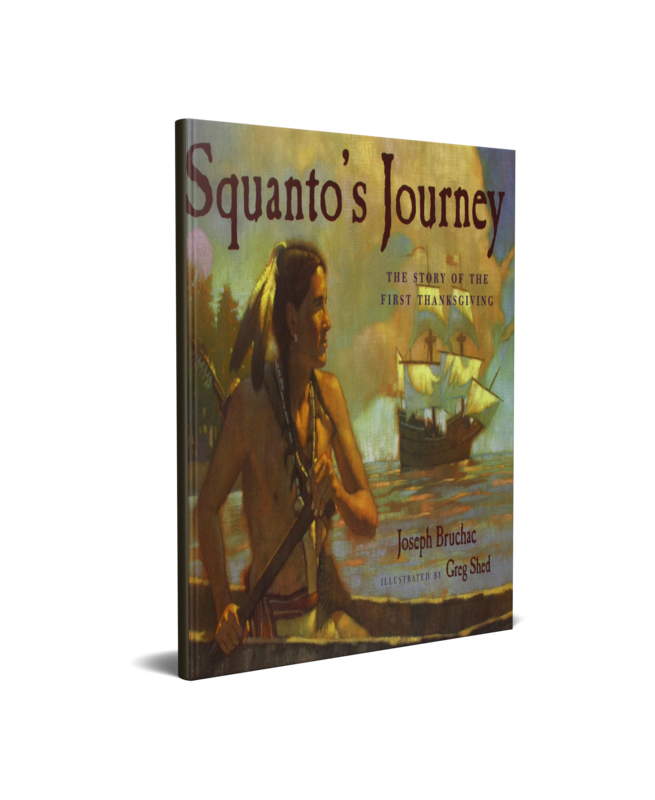 In this beautifully illustrated story, Joseph Bruchac (who is also of Native descent) recounts the tale of Squanto, a member of the Pokanoket tribe who welcomed newcomers and established traditions that would endure for centuries. With scenes of kidnapping and hardship, this is a story that packs a fair few punches. Nevertheless, opening up hard conversations about tradition and the importance of understanding the past are perfect ways to bring history to life! Describe Thanksgiving as an Alien coming down to earth? What would they think of the whole experience? What would Thanksgiving be like on the moon, under the sea or on a desert island? How would a group of farmyard animals celebrate Thanksgiving? Are they happy or sad about the harvesting of crops? Create your own Thanksgiving dish. Consider: chardonnay carrots, peanut pie, bubble sprouts. Choose your favourite fictional character and write their Thanksgiving diary. Would Winnie the Pooh have a honey roasted Turkey? Would the Mad Hatter still have a tea party? 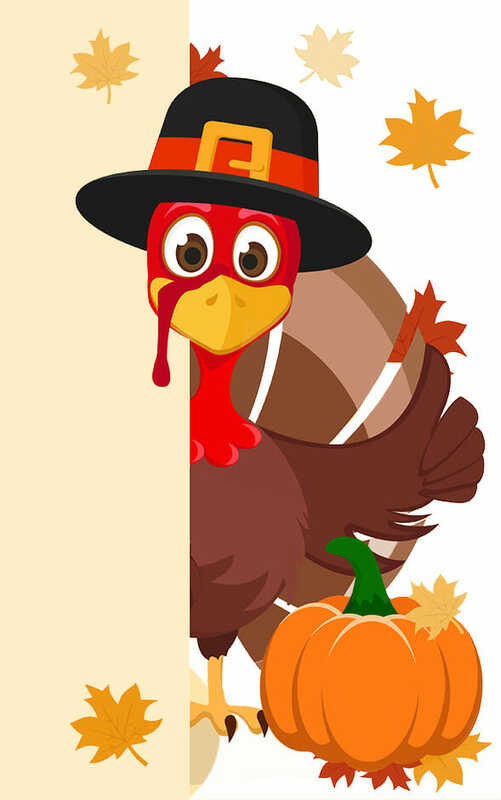 Now, well-armed with thoughts of the holiday season, get yourself ready to eat, drink and be merry; Happy Thanksgiving!